Croydon, UK — WEEE scheme for the UK lighting industry Recolight has collated data to estimate the possible scale of WEEE non-compliance through some online retailers. The Recolight analysis suggests that LED lamps which do not comply with WEEE, sold through some online multi-seller retailers, could represent around 20 percent of all lamps sold in the UK. The analysis was submitted to consultants preparing a report for the OECD on the impact of online sales on WEEE compliance. The OECD report is expected to estimate that free-riding through online sellers is around 5 to 10 percent of all electrical products sold, but with a higher rate for smaller products that are easy to ship – such as LED lamps. 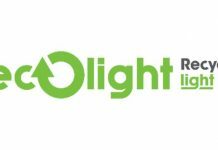 EucoLight, the European trade association for lighting WEEE compliance schemes, is co-hosting a seminar in Brussels, on 13 September, to raise the profile of the problem.